Cat Tunnel, a great place to be, if you're a cat. 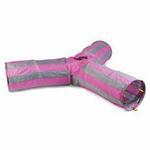 Soft and 'crinkly' the cat tunnel will offer your cat hours of fun and quiet place to hide. Beaphar Play Spray is a training aid for kittens and cats. The Magic Wand Fat cat is a pole lotta fun! 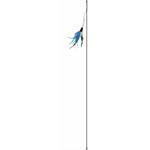 The Magic Wand Wild Cat is a pole lotta fun! 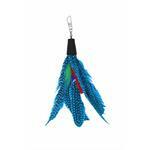 Love bug butterfly cat wand is filled with Cat Nip to excite and help you interact with your cat.